Lack of desired material can often lead to a compromise in design of a building. While there are norms to check quality, it is usually aesthetics that is sacrificed. Don’t give up on your dreams by settling for anything other than the best and here, at Buildworld, we offer you all of the best. From internal construction components to external fittings and enhancements, we have a wide variety of brands and products for you to choose from. One of the latest developments in recent times is eco-friendly buildings that are in sync with the geographical conditions and use recycled materials. Reclaimed bricks are one of the most popular options to get yourself a recycled home, while at the same time recreating old world charm from the bygone eras. Reclaimed Bricks are used bricks that have been taken from old structures that are dilapidated, torn down or are being rebuilt. These distressed bricks lend an air of authenticity to a structure, especially facades. However, they are not to be confused with Facing Bricks. Facing Bricks are contemporary products that are mainly used for external wall facades or aesthetics and may not possess enough strength or insulating properties to protect the structure. They are made from mud clay, sand, slate, and water. Reclaimed Bricks may or may not be traditionally made from clay and at times may have different compositions, like stone blocks, used a century ago. At that time, construction was more basic and not as evolved as today. Blocks or bricks usually served the dual purpose of upholding strength and external aesthetics, besides buffering the weather. The ideal way to use recycled bricks is by working on your dream building along with seasoned designers and masons, who are expert in replicating period structures. Be it a second home in a rural area or an institutional building in a city; Reclaimed Bricks add a touch of traditional prestige to the structure giving it a historic look. The advantage is a period look, with all the accoutrements of the modern age such as electrical heating and comfortable interiors. The only drawback with using Reclaimed Bricks is quality checking and availability. 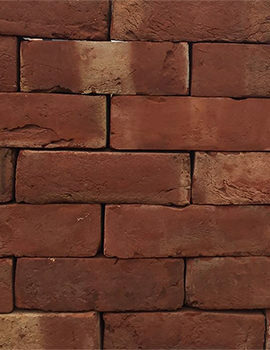 New bricks are made in compliance with governmental regulations, such as the BS EN 771-1 that is a must for clay bricks. This ensures their durability, safety, and worthiness. If you are not sure about the quality of the old bricks you would like to use, get a smart insurance cover for your building. 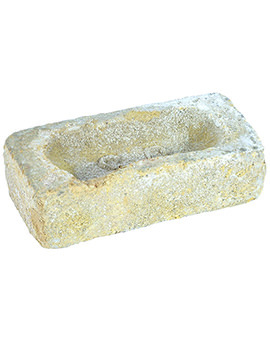 Alternately, you can also use the new range of “distressed” look bricks that are now available, made with modern methods and specifications, but with a typical look of old structures.